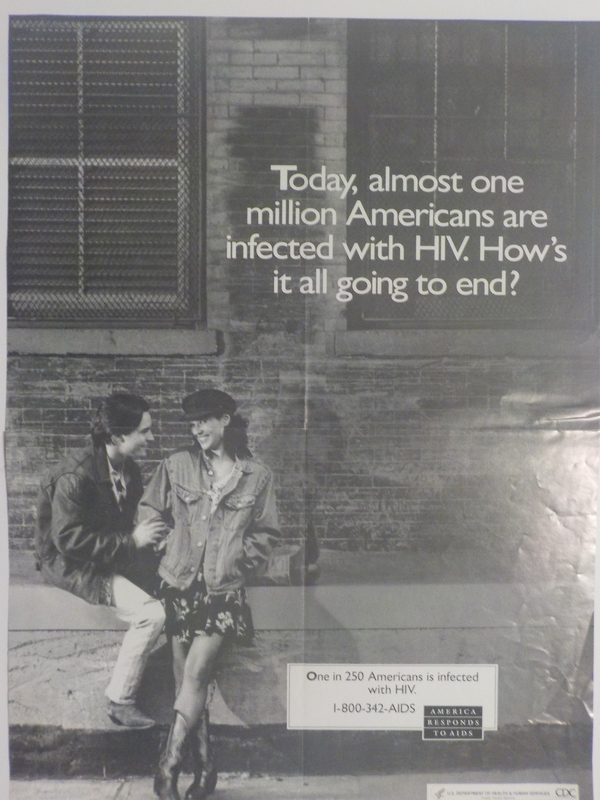 Today, almost 1 million Americans are infected with HIV, how is it all going to end? Couple posing on a brick wall. "One in 250 Americans is infected with HIV. 1-800-342-AIDS." Couple posing on a brick wall. White. Black and white photo. A=Giant sticker middle right. Order number: P711 (African-American male), CDC National AIDS Clearinghouse, Catalog of HIV and AIDS education and prevention materials September 1994, p. 8.